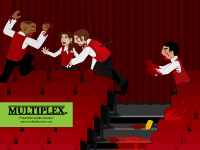 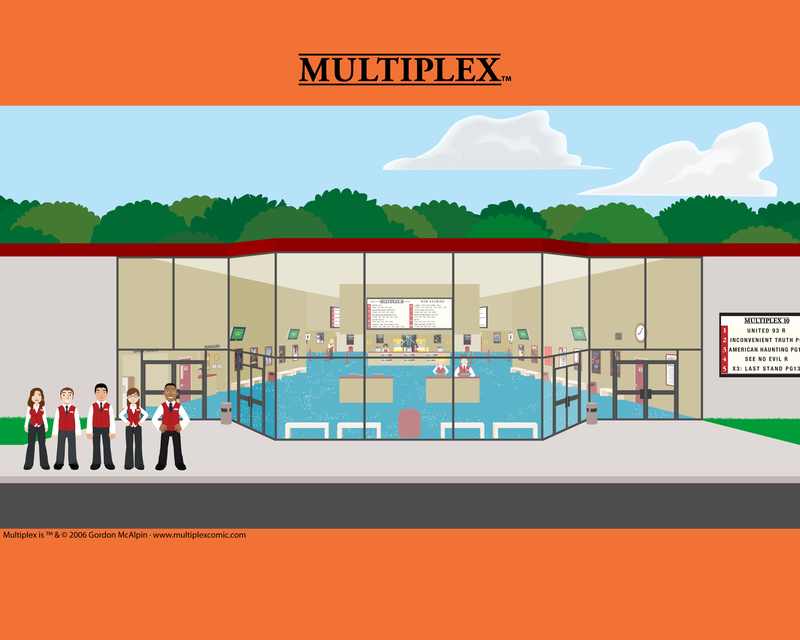 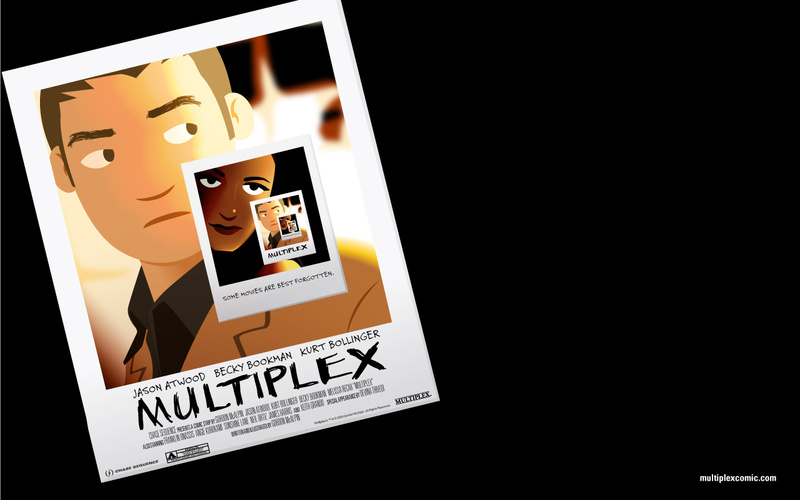 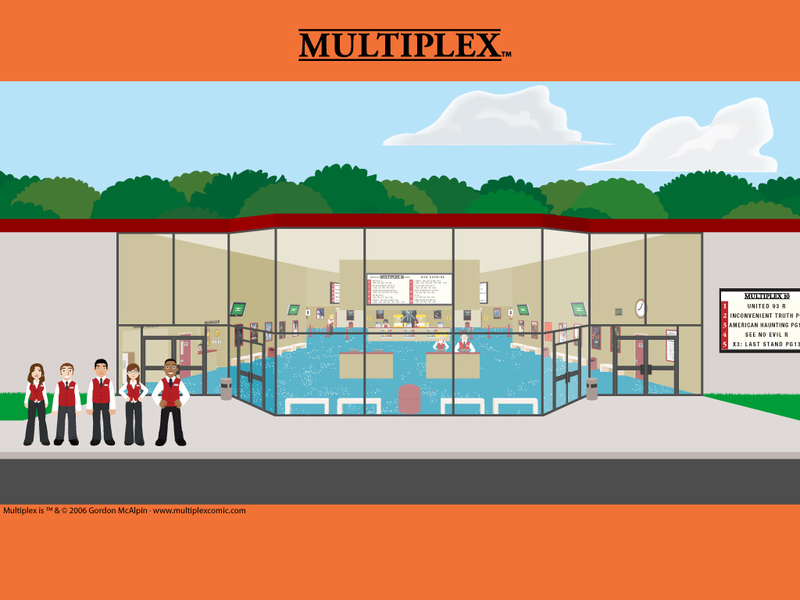 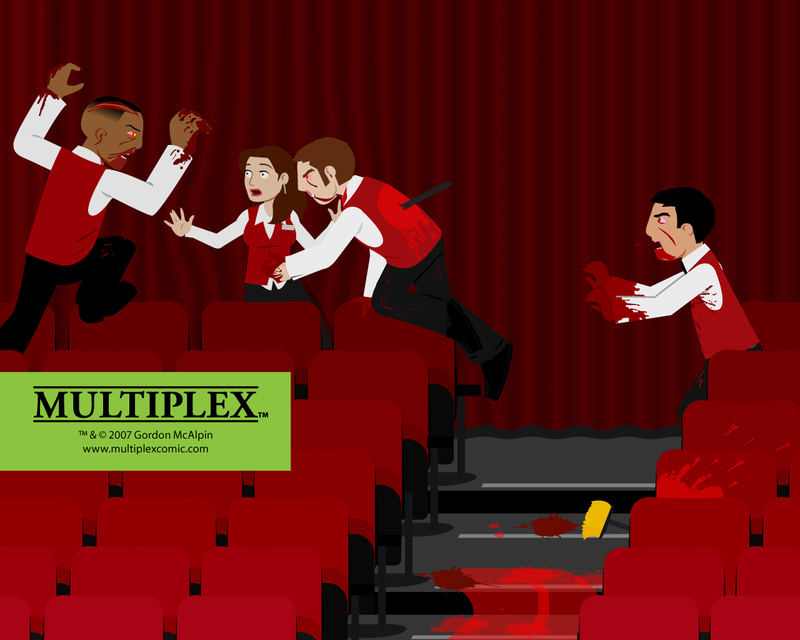 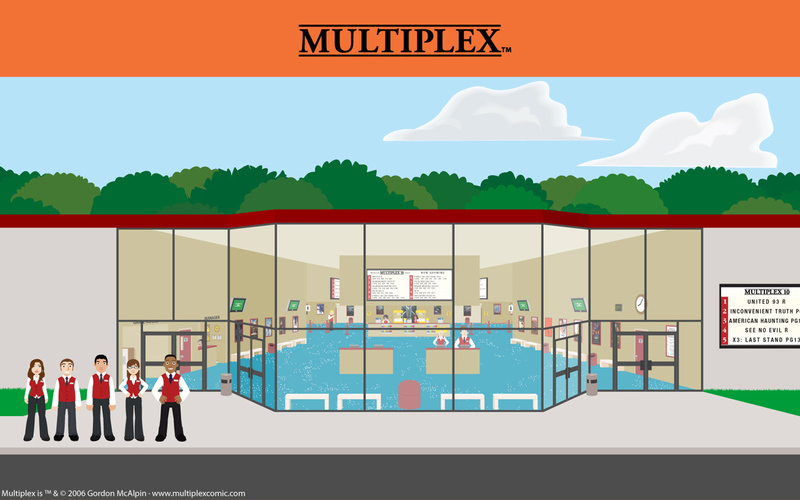 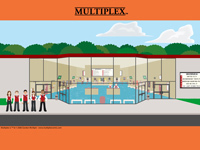 When I first started developing the idea for Multiplex, I wanted to do it as a series of animated shorts, and from the very beginning, I knew that I wanted this twelve-second bit of silliness to be the official “theme song” to Multiplex. 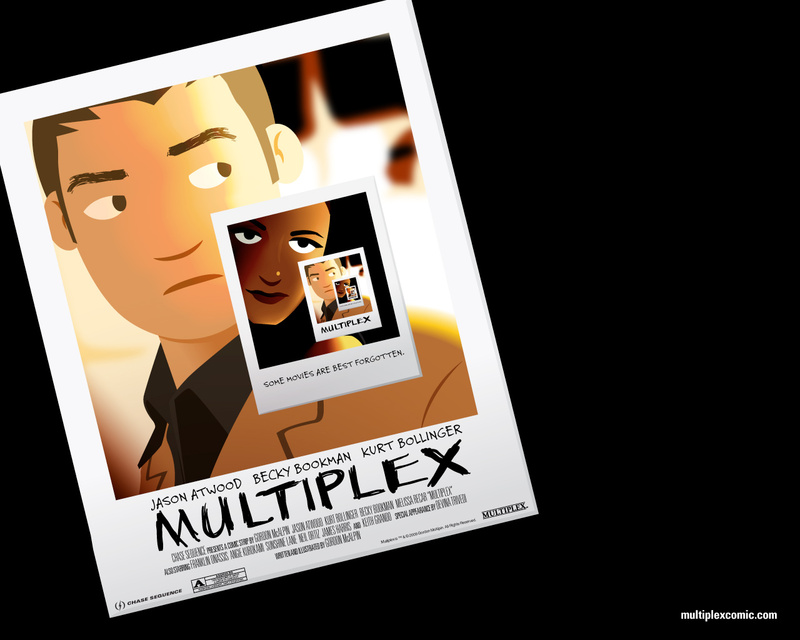 Check out AM/FM’s glorious indie pop at the Polyvinyl Records website or buy it at the iTunes Music Store. 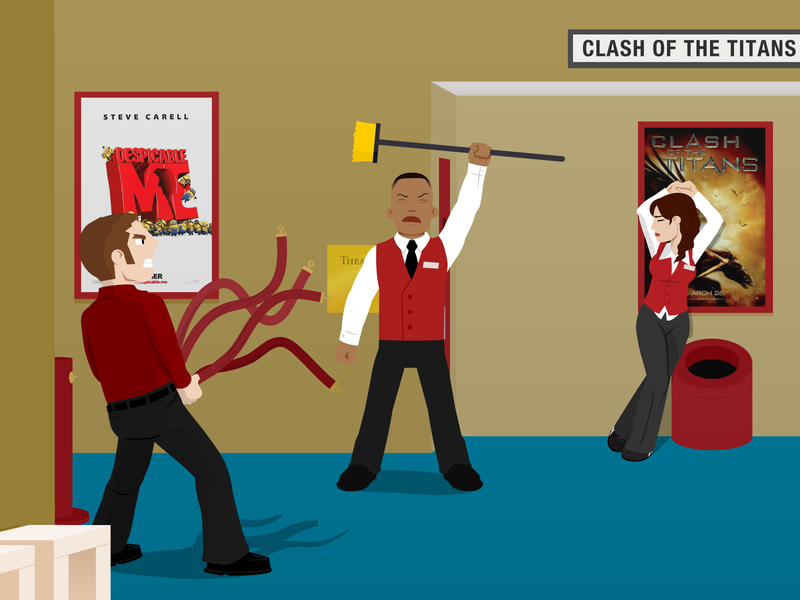 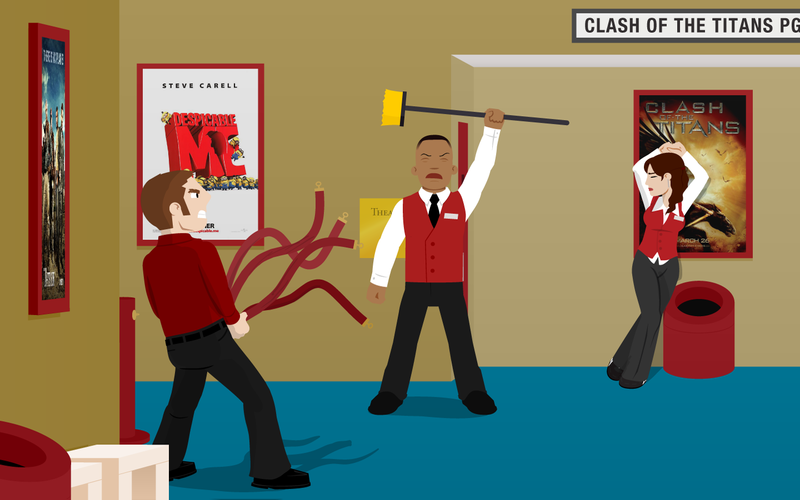 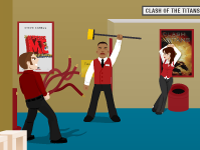 This first desktop pic features almost every Multiplex staff member (circa April 2006). 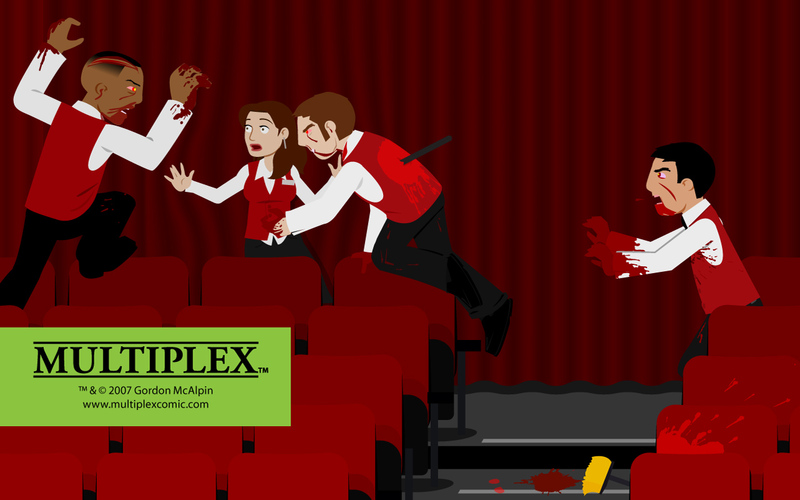 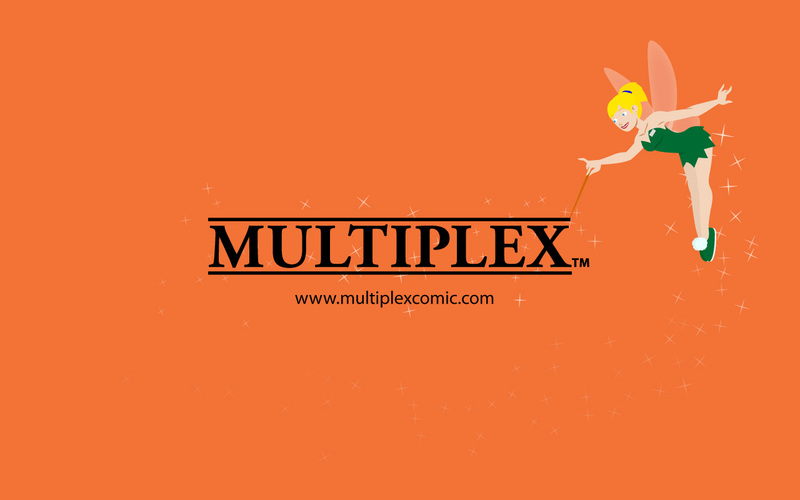 This is an enlarged version of a panel from Multiplex #139. 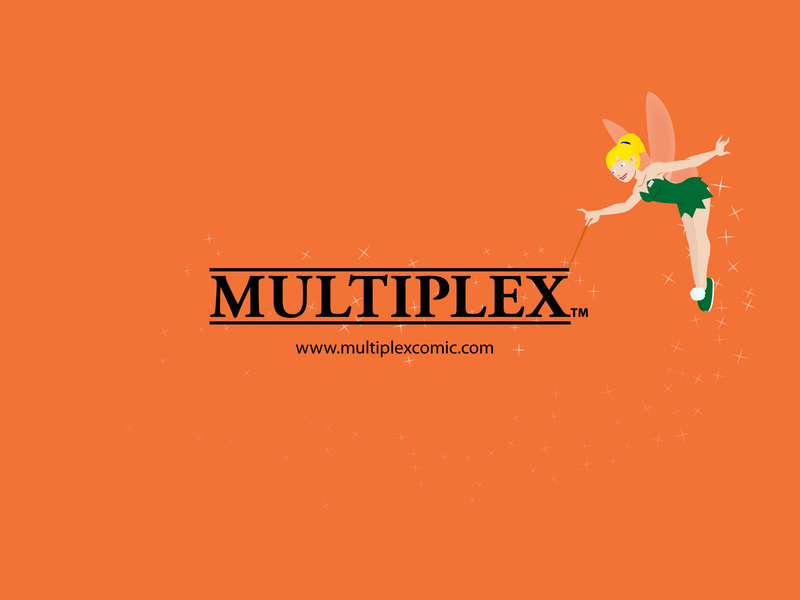 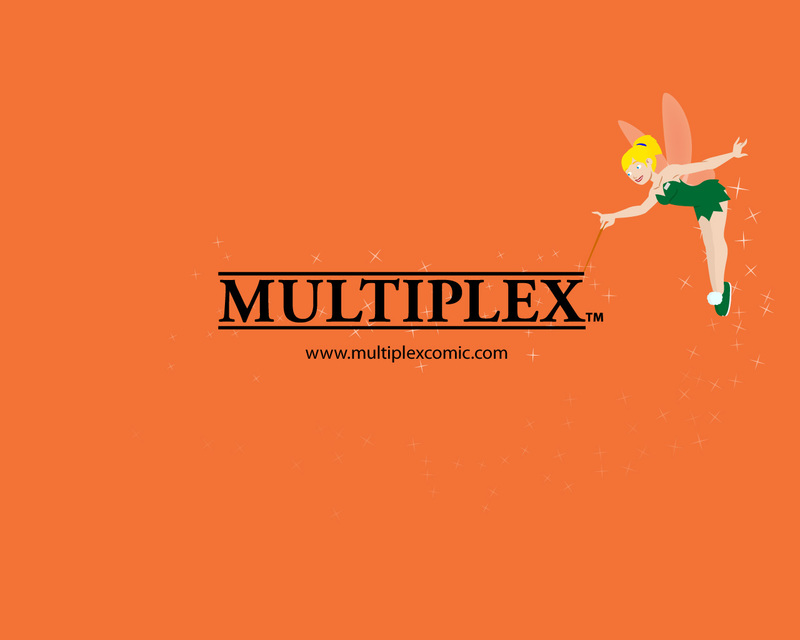 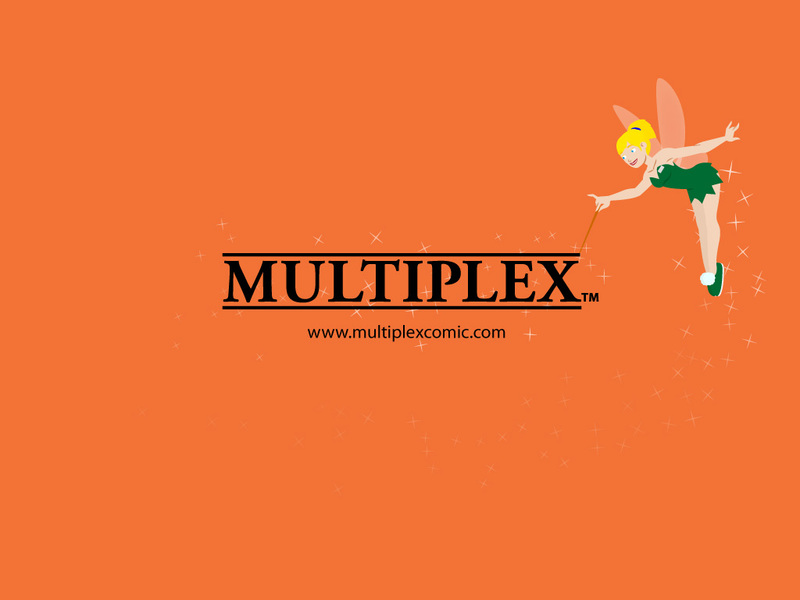 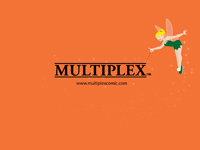 This desktop pic features Sunny dressed as Tinker Bell, as seen in Multiplex #100. This desktop pic features artwork from the Multiplex/Memento parody poster. 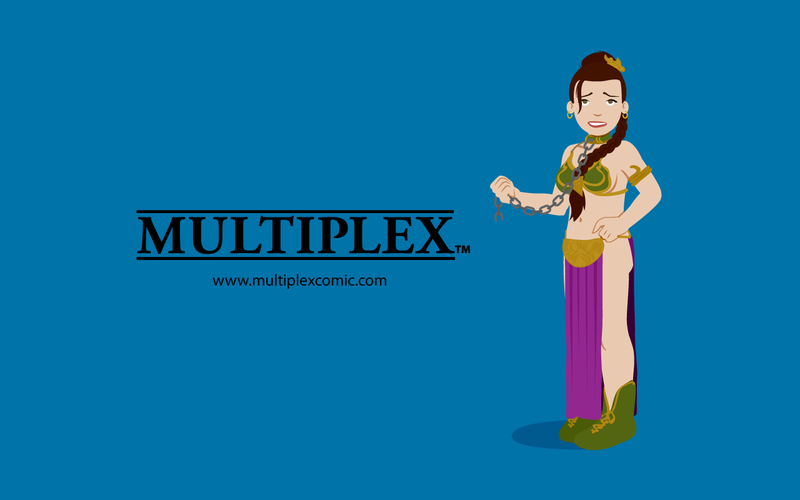 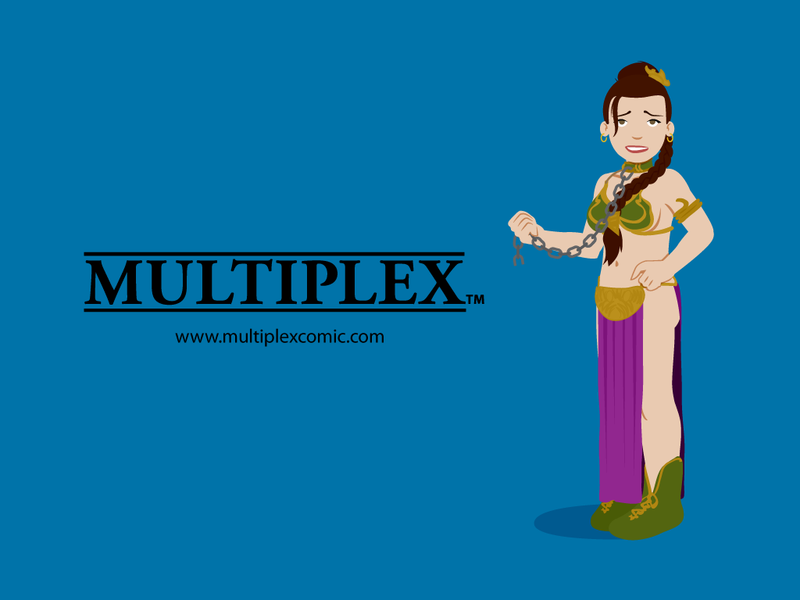 This desktop pic features Melissa in her Slave Leia costume, as seen in the Prequel story from Multiplex: Enjoy Your Show.